large property for 12 people, with air conditioning, volley-ball, table tennis, private pool and garden. A total of 5 bedrooms, 5 bathrooms etc. Perfect for families. Enchanting and amazing estate with private pool near Manacor, perfect for 17 people. Formerly a rural hotel, this distinctive apartment, surrounded by fields and in a quiet zone, is located between Manacor and Felanitx. It can comfortably accommodate 4 to 5 people. 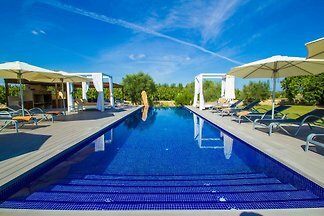 Welcome to this beautiful rustic house located on the outskirts of Manacor, where our guests will find all they wish: nature, peace, total privacy and a fabulous pool. 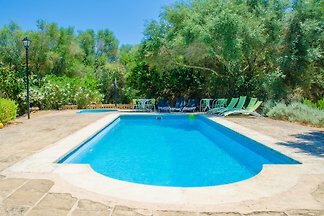 Beautiful Mallorcan country house in Sa Coma with pool and capacity for up to 10 guests, ideal for a wonderful holiday with family or friends. 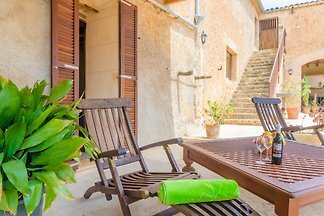 Welcome to this wonderful cottage with private pool for 10 people, set in Manacor. Formerly a rural hotel, this magnificent apartment is located in a rural and quiet zone between Manacor and Felanitx. It is just perfect for 2 guests. This nice house with sun terrace and Jacuzzi is 170 meters from the sea in S'Illot and welcomes 6 guests. 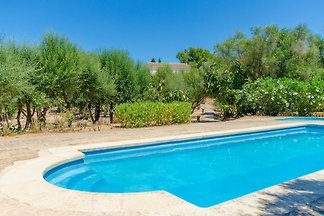 This coquettish house in Manacor with private pool and garden can comfortably accommodate 6 people. 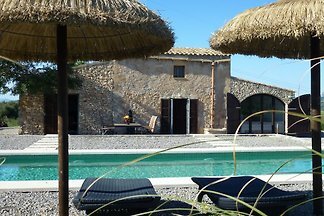 Enchanting little house for two persons, with shared pool, in an agrotourism finca near Manacor. Welcome to this beautiful house with shared pool, prepared for up to 4 persons, situated in an agrotourism finca, between Manacor and the bay of Alcúdia. Set in an agrotourism near Manacor, this romantic apartment for two guests has access to a shared pool. Enchanting apartment for four people set in an agrotourism with shared pool near Manacor. This homelike villa, located near Manacor in the east of Mallorca welcomes 6 people. Adorable countryhouse for 4 persons, on the outskirts of Manacor, with private above-ground pool and views on the mountain. Enchanting little house for 2 persons, with shared pool, in an agrotourism finca near Manacor. from 5 4 holiday homes & accommodations in Manacor were rated with an average of 4.6 out of 5 stars ! Rent successfully your holiday flat or holiday home in Manacor in only 20 minutes !